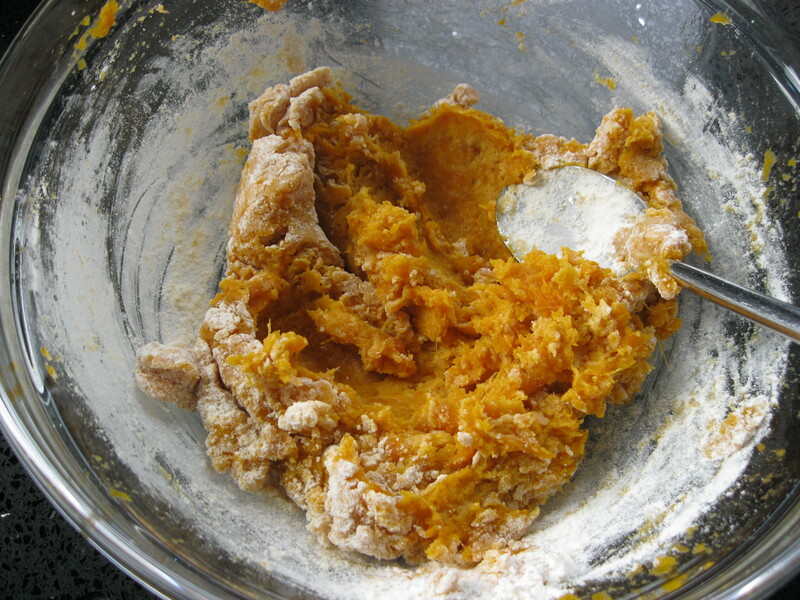 The amount of flour you use will depend on the cooked weight of the flesh of your sweet potatoes. I measured out 250g in a bowl and added a little at a time to get the right consistency. You want the dough to be workable, not too dry and not too wet – if that makes sense! On my first attempt the dough was too dry and kept breaking up and that’s because I combined all the flour with the sweet potato instead of adding it little by little. As you’ll see from my pictures I still need to perfect the art of ‘rolling’ the gnocchi but I still managed to get ridges on most of them which is what you need for the sauces to cling to. Place the potatoes on a baking sheet and bake for 45mins – 1hour until the potatoes are fork tender. You could possibly boil the potatoes to speed up the cooking process but I think they’ll take on a lot of moisture and you would need to use more flour for making the gnocchi. When potatoes are fork tender, set aside and cut open to all to cool but do not allow to go cold. Whilst potatoes are cooling measure out the flour. Put the cooled potato flesh into a bowl and mash until smooth. Add the nutmeg and a pinch of salt and pepper. Start by adding 1/4 of the flour and mix to combine. Continue to add the flour until a dough has formed – again you may need more than the 250g listed above depending on the amount of potato flesh you have. Once you have a dough, turn it out onto a floured surface. 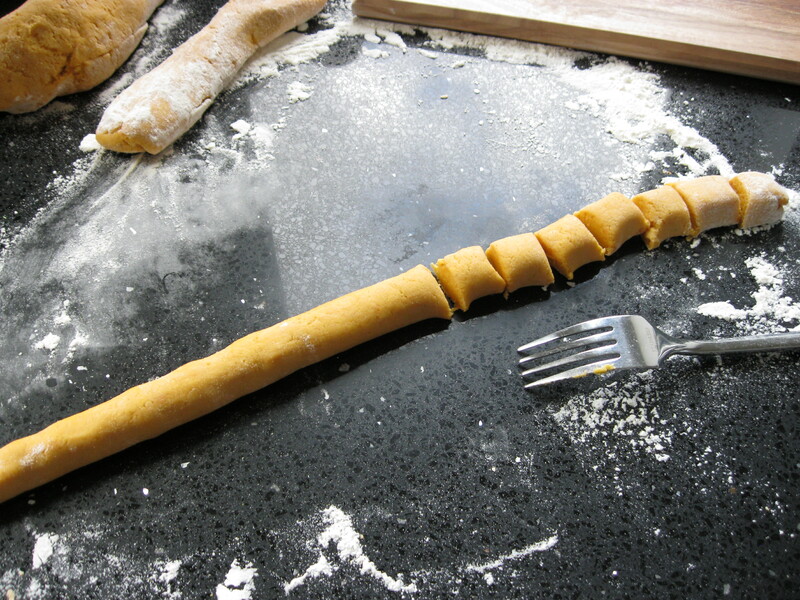 I divided the dough into quarters and rolled each amount into a sausage – approx 1/2″ thick. Cut up the ‘sausages’ into 4cm pieces. 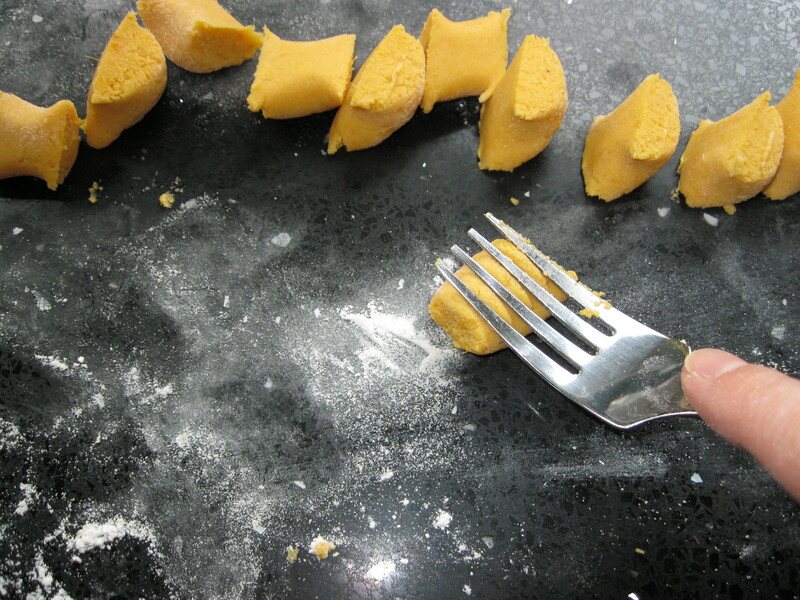 Roll the back of the fork over the gnocchi to create ridges. Continue to do the same for all the dough. To cook the gnocchi. Put a large pan of salted water over a high heat. Once the water is boiling drop in the gnocchi. When the gnocchi floats to the top (about 2-3mins) it is cooked. Remove with a slotted spoon and add to the sauce of your choice. If you do not want to eat your gnocchi immediately. Cook as above and when removing it from the pan place it into a bowl of cold water. The gnocchi will keep in the fridge for 2-3 days. To re-heat just cook as above. 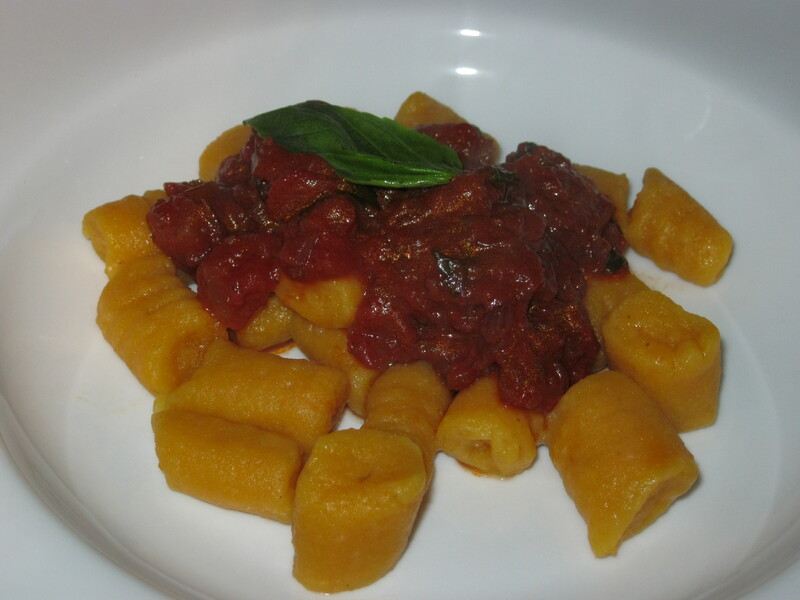 If you are freezing your gnocchi. 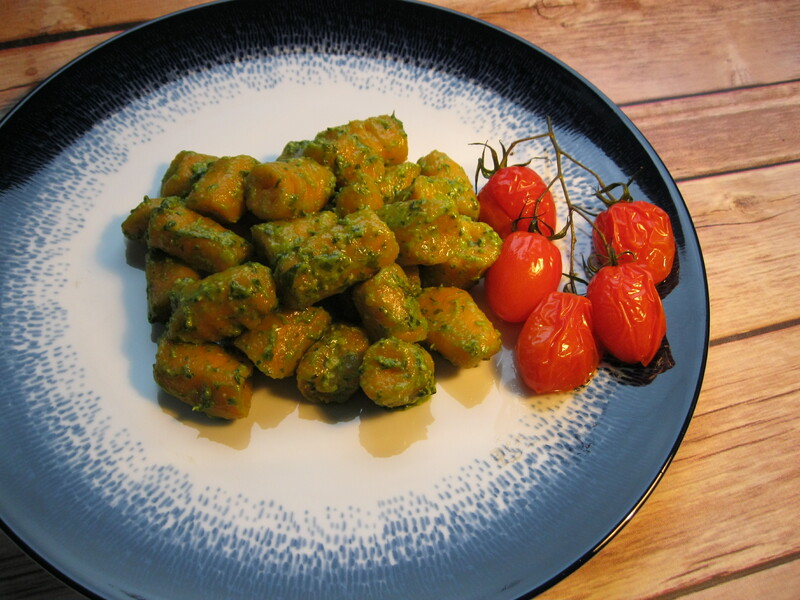 Lay the gnocchi on a baking sheet and place in the freezer. Once frozen put the gnocchi in freezer bags. To cook from frozen, simply follow the cooking guidelines above. I hope you like them! I love gnocchi, I think next time I make it I’ll omit the nutmeg and add some chilli to give it a kick..